The day was cold and there was no place to go, as simple as that. He had messed up his life, no one would deny that. His mom was always there for him and he really had no excuses, except that he wanted to have fun and school and work were a chore. Drugs and alcohol deadened the pain on days like today. 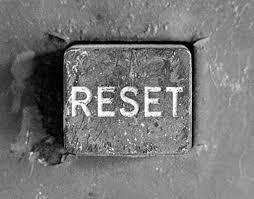 Drugs and alcohol had stopped being fun and had now become an ugly necessity. His mom cried out to HART asking for solutions. Sadly, we couldn’t offer her one. Until he decides he wants the help, we are powerless. It is a tortured cry we have heard before from many mothers. So, in the meantime, we care for them. Twice a week at United Methodist Church, showers are offered, and Christy Cares provides lunch. Sometimes, car repairs, a blanket, clothes from the Clothes Closet and a backpack are offered. And then we wait…wait until they are done with the drugs and alcohol and are ready to take on the hard job of changing. 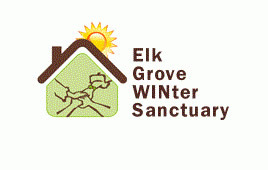 During the twelve weeks of our Winter Sanctuary we have the opportunity to touch many of the homeless in Elk Grove. 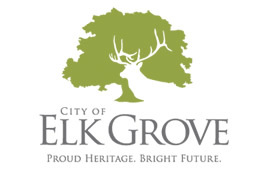 While staying at the various churches, we bring in Elk Grove’s Navigator who helps to evaluate what services each person may need. Often the homeless are on disability and just need assistance in finding housing, or they need an ID or a social security card so they can work. While their moms wait, we wait with them for their desire to change, for it to be stronger than the drugs or alcohol. There is no greater joy then to see a mother reunited with her child. Patience is learned and we have gotten pretty good at it. We’ll wait for your child too. We are not paid, we do it because we believe the homeless need the opportunity to live a better life and can do so with a little help. May 2nd is the Big Day of Giving. 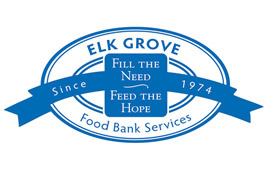 Please give generously and be a part of helping the homeless of Elk Grove get off the streets and into permanent housing. Towering well over 6 feet tall makes Kurt an imposing figure, but it doesn’t take long to realize he is a “gentle giant”. Diagnosed with autism at a young age, he has worked hard to overcome some of the mannerisms he exhibited as a child, such as lashing out in anger at unpredictable times. It caused him to be removed from almost every school he attended and babysitters refused to care for him. Mom finally home-schooled him in an effort to moderate his environment. It was a full-time job which meant actually losing the career that paid their bills. It also meant downsizing and reducing their costs wherever possible. His disability money covered the rent of their little apartment, but as costs rose over the years, their disability payments did not. Forced to give up their apartment, they moved into their car and put all they owned in storage. Kurt needed routine and Mom did everything she could to keep things as normal as possible. She made sure he got to his job of collecting shopping carts a couple of hours a day and rented motel rooms when Kurt’s anxiety seemed to be elevating. A warm shower and watching sports on TV always had a calming affect, especially when his Dallas Cowboys won. A year ago, Kurt and his mom moved into the Grace House, HART’s house for homeless adults. At that time, their car had broken down and mom was losing her vision, recently diagnosed with irreparable and painful retinal degeneration. They settled into the master bedroom where they were able to recuperate from months of the mounting stress from being homeless. 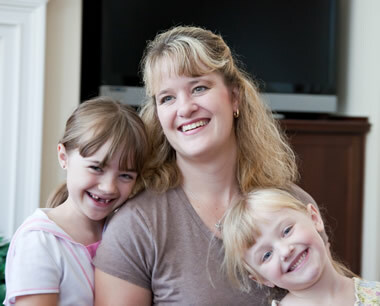 HART helped mom to navigate getting disability for her vision disorder and she and Kurt now have their own place. Kurt’s room is decorated with sports memorabilia and he especially likes his exercise bike. He has even learned the bus route to get himself to work. Mom’s dedication to her son has paid off, he is charming and loved by many. She can now rest and know he is thriving. 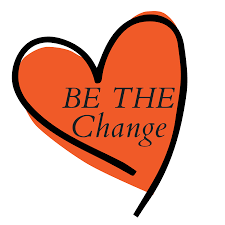 On May 2nd is the Big Day of Giving. 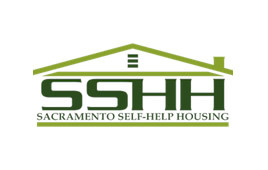 Please give generously and be a part of helping the homeless of Elk Grove get off the streets and into permanent housing. Her car was her safety net. Homeless, it’s where she kept all she owned. Where she stayed out of the rain after HART’s Winter Sanctuary and where she could find rest from her disabling pain. Running the heater periodically to stay warm during the cold winter storms proved to be too much for her old car. The radiator overheated, blew a hose and the battery finally gave up. Unable to move her car surely meant it would be towed and the end of her safety net. She didn’t dare cry for fear the tears wouldn’t stop. Thanks to Linda and Ken Strom and HART, who came to her rescue, with the help of our generous mechanic, Steve Kuhs. Not only was her car fixed, but it also passed the smog check provided by Smog ‘N Go of Elk Grove. Now the dark clouds of winter have passed and her spring looks so much brighter. She is now sharing a house and looking for an apartment of her own. Gratitude exudes her. No one likes car problems, but for a homeless person it can be devastating. 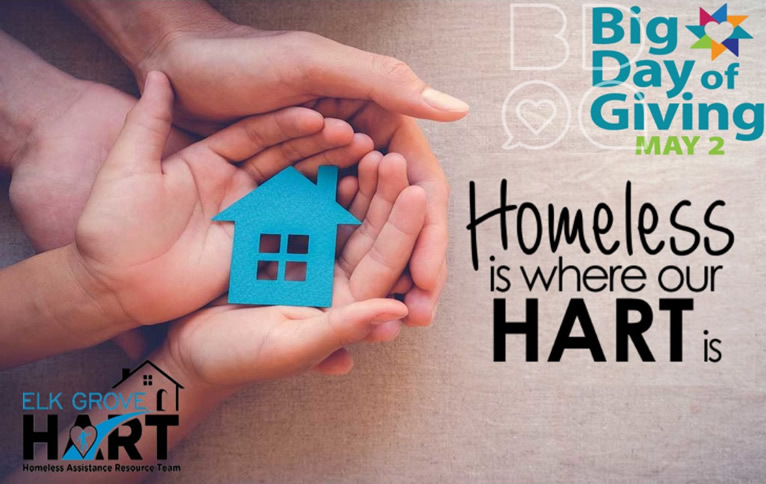 Not only is it a safe place to stay, keeping them out of the weather, but it also helps them to keep or find employment. The Big Day of Giving is an opportunity for you to help a homeless person keep their ‘safety net’ running. Please give generously on May 2nd.